Onerous school assignments, the pressure to keep up an active social life, Facebook and YouTube. These are just some of the demands on a young person's time, so you would think the last thing on a youngster's mind would be the serious world of investing. Investment for many takes the form of spending time on school books so as to excel in studies and command a higher salary later . So it is a pleasant surprise to find three young people who are passionate enough about investing to find time for this pursuit amid their hectic student lives. Not only do they relish the thrill of trying to outsmart the market, but also they may reap plenty of financial benefits. GYC Financial Advisory notes that starting to invest early makes it easier for young people to save for the long term. For example, a 20-year-old would need to save just $158 a month till he is 60 years old to have $1 million by then, assuming a compound annual rate of return of 10 per cent. On the other hand, a 40-year-old would need to set aside $1,317 a month to hit $1 million at age 60. The total amount of money invested in the first case is just $76,000, while in the second case, it is $316,000, GYC highlights in a report titled "Are youths ready for financial independence?" Retirement may be far away for these young people but they are getting in early to acquire the knowledge - and build the capital - to secure a financially stable one. The Sunday Times speaks to three young people on how they manage their portfolios. 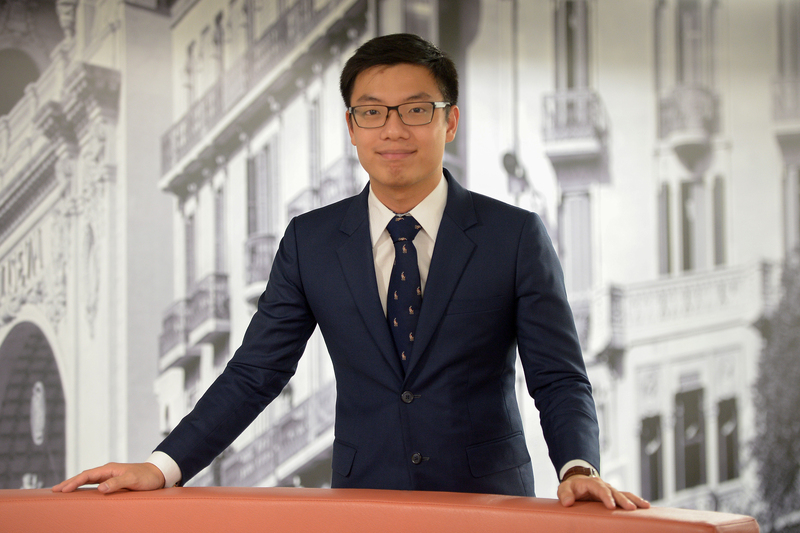 Since he started investing in Singapore stocks last year, Mr Ernest Ong, 23, has not recorded a loss yet. In fact, the return on his portfolio is a hefty 18 per cent. Its size is below $20,000. He considers a four-day position in Bumitama Agri his best investment. He bought the stock in mid-March after learning that the El Nino phenomenon would drive palm oil prices up this year. Within four days, the counter surged from about 81.5 cents to close to 95 cents. His returns were about $675 - about 13 per cent. Another top bet was Silverlake Axis, which he bought after its share price dived when an analyst accused it of dishonest accounting practices. The second-year finance and accounting student still thought that consequences wouldn't be disastrous even if some of the claims were true. Moreover, the firm had a strong balance sheet. He bought the counter in August and sold it in November, making a 23 per cent return. He got interested in investing as a young boy while watching his mother call brokers or manage her portfolio online. While in the army, he traded equities and options on United States bourses. He stopped briefly after that to focus on other pursuits. Being involved in the EYE Investment Club at the Singapore Management University and having a mentor encouraged him to return to investing last year, this time on the Singapore Exchange. 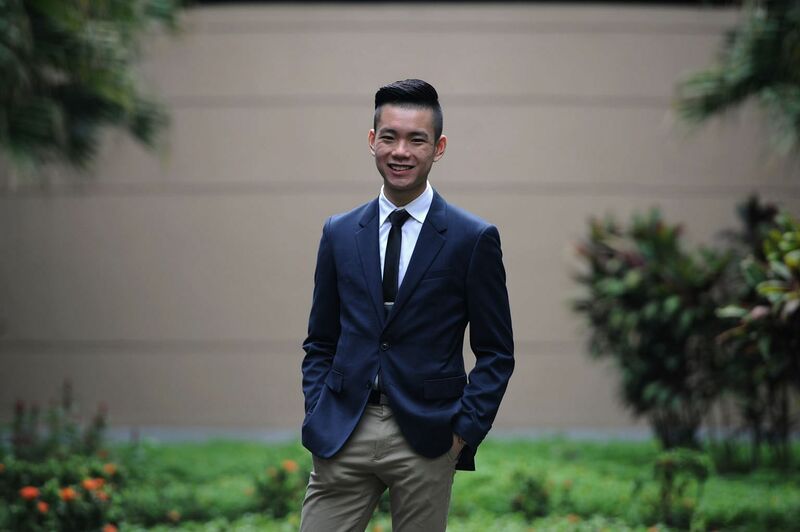 He was the leader of a team that placed first in the NUS-SGX Stock Pitch Challenge held in March. A It consists of three stocks: SIA Engineering, which takes up 40 per cent; Global Logistic Properties, which makes up 40 per cent; and Silverlake Axis, which takes up 20 per cent. Q What is your investing strategy? A I first identify industries which have a positive outlook or in recovery by looking at research outlets, databases and news. 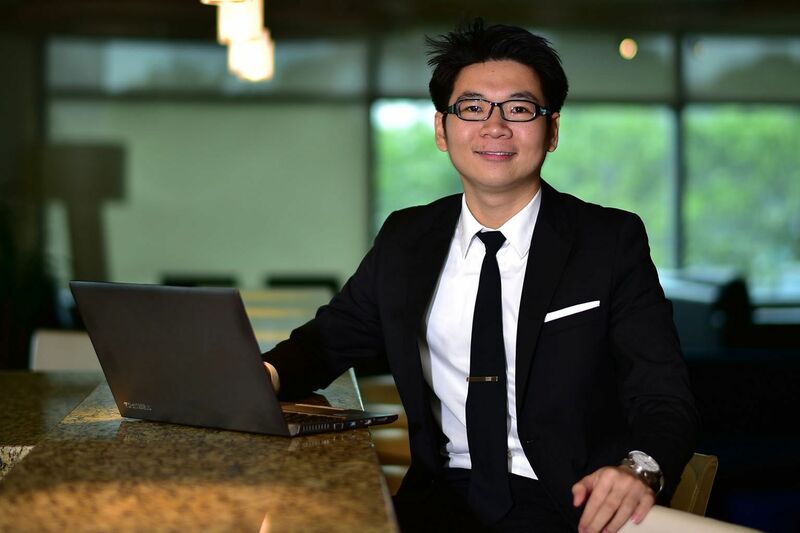 A three-year stint at Starbucks shaped Nanyang Polytechnic third-year student Darrell Lim's investment strategy. "The information flows more smoothly through the organisation than in one or two other places I had worked at before," he said. "When somebody in a higher position disseminates information down, it can be seen very clearly what they expect from us as front- end sales providers for Starbucks." He worked at a store for about 20 hours a week as a shift supervisor who served customers and oversaw service standards. Through this, Mr Lim, 20, realised how important the management team was to a firm's performance. That insight led him to invest in agri business Olam International. He gained confidence in the firm upon reading about CEO Sunny Verghese's strong vision of expanding in India and his ability to execute in the firm's annual report. "This is not easy. In fact, Apple recently tried to sell resale iPhones in India and met with resistance." Mr Lim made his first investment of about $1,000 in Keppel DC Reit about 18 months ago. Today, his portfolio's value is $2,800. About 40 per cent is in Keppel DC Reit, 30 per cent is in OCBC and 30 per cent in Olam International. When picking stocks, another key strategy is using estimates of future earnings posted on Bloom- berg to project what the stock's future valuation ratios (such as the price-to-earnings ratio) will be. He then compares these ratios against present ratios of that stock, and ratios of similar stocks in the industry. He looks for stocks with a dividend yield of 5 to 6 per cent. The investor's returns are about -2 per cent a year as his stake in Olam has suffered a 9 per cent drop in value. He remains optimistic, however, as he believes that the counter will appreciate in the long term. 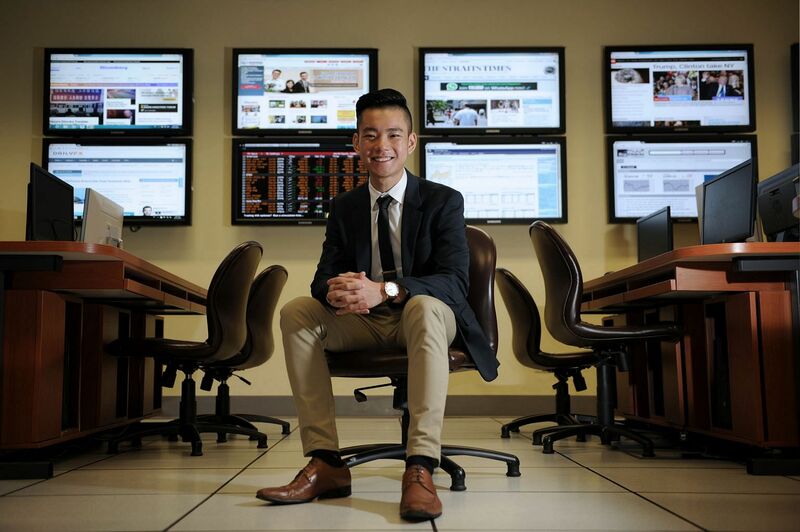 Mr Lim led a three-man team that won the 13th annual Chicago Mercantile Exchange Group Trading Challenge this year. 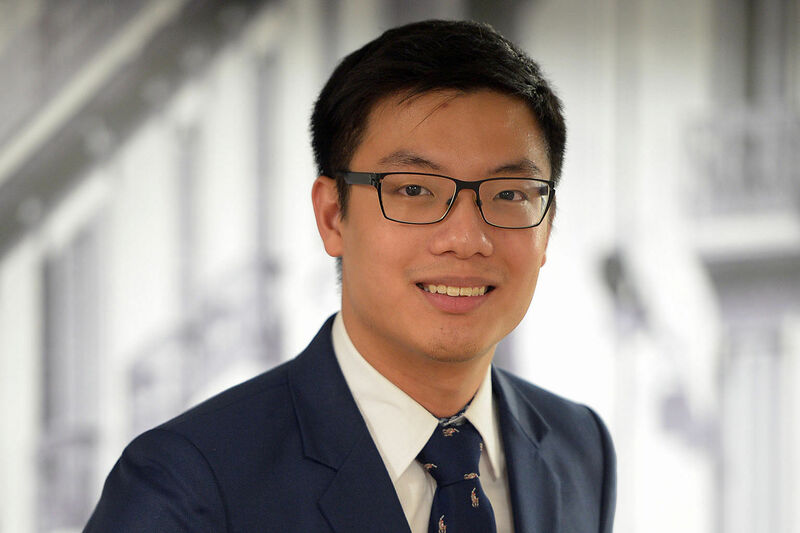 A decision to specialise in fund management after secondary school jump-started 23-year-old Malcolm Chan's investment journey. "It was two days before I had to make my decision and I had gone for junior college open houses but I felt they did not really fit," he recalled. His dad then suggested he consider the fund management course at Nanyang Polytechnic. He thought it a good idea, having had fun when his dad would buy shares and ask him to track their performance. "I kind of knew I wanted to be in the finance industry back then." Today, the second-year SMU student is the vice-president for research at the EYE Investment Club at SMU and manages a portfolio of about $30,000. A I use technical analysis and look at indicators like stochastics (a gauge of momentum) and the relative strength index to pick out investments. I apply this to long-term investments, speculative trading and currency investing. My first criterion is the stock needs to have an average daily trading volume of at least one million shares over three months. Technical analysis works best with stocks that have high trading volumes. Before applying an indicator to a stock, I will also check to see how successfully it has predicted price movements in the past four years. I usually use only three technical indicators as I find that using too many leads to "analysis paralysis". I have no particular preference for industries . For my investments in currency, I also monitor central bank statements. A I hold blue-chip and mid-cap stocks for the longer term and 70 per cent of my funds are in this account. My holding period has been on average two to three months - when prices hit stop-loss or take-profit targets, I will sell the stock. For instance, I know that in 2016, the airline industry is in a recovery phase. It follows its own business cycle and has been underperforming in the past few years. Low oil prices will also support the industry as oil prices make up a quite a big proportion of airline company costs. I also use basic technical analysis tools like support and resistance lines and trend lines to judge if it is a good time to buy. A I intend to start investing in corporate bonds and derivatives like options and futures next year. Right now, I'm learning about how they work. How much I invest would depend on the outlook then. I use basic technical analysis tools like support and resistance lines and trend lines to judge if it is a good time to buy .
'' 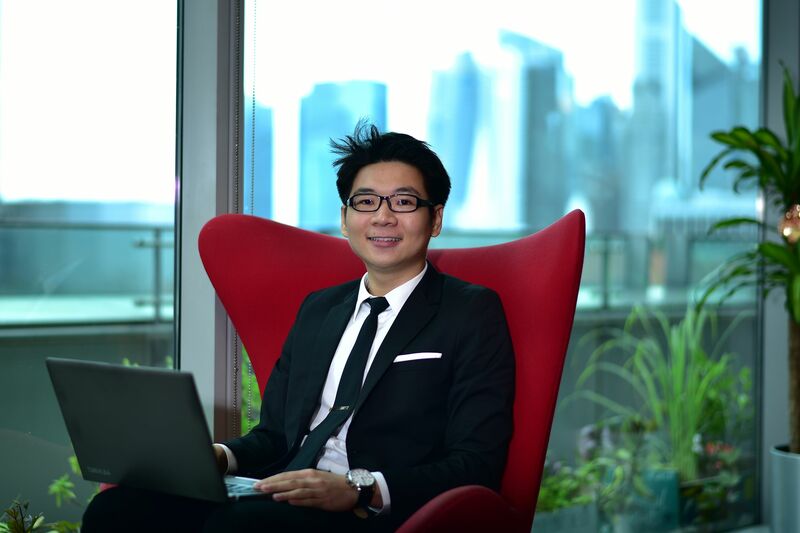 MR ERNEST ONG, on his investment strategy. The purpose is to diversify my portfolio. The share price fell below 60 cents and I refused to liquidate the position, causing a lot of capital to be locked up in the stock. Fortunately, the price rallied back... and I sold it. The field of nearly 500 teams included teams from United States universities like Carnegie Mellon University, as well as Canadian universities. A I will invest in bond funds in two to three months' time to diversify my portfolio. I will invest about $2,000 to $3,000 depending on my returns then and my outlook for bonds then. I will go for higher-risk funds like funds investing in corporate debt because I feel like I'm still young. I can afford to lose. It's time to step up and try new stuff. That's why I went into equities too. I'm also considering taking private tuition for additional mathematics as I didn't take it during O levels, and lessons in programming as I think it will be the next big thing. Q What's your worst investment? A Investing quite a large amount of $1,000 in Keppel DC Reit as my first investment. This was risky in hindsight, given that my investing ability was still at quite a novice level. It dropped about 10 per cent in value because of the Chinese yuan devaluation and the concerns about the global economy that followed. But the price has recovered to the same level I bought it at. Q What's your best investment? A I entered OCBC in August last year at about $9.50 a share as I thought it was undervalued. I had estimated that the price should be about $11 apiece. Estimates from Bloomberg were in line with this. Further, OCBC had been trading around $10.50 for the previous year. The shares went down further after I bought them and are around 10 per cent down since. I still feel the stock will return to the $10 to $11 range though. Another 20 per cent is used on short-term trading and focuses on penny stocks. A penny stock I am now holding is Ezra. I hope to make 20 to 25 per cent per annum in this segment of the portfolio. I also have a forex trading account - 10 per cent of my portfolio is allocated there. I concentrate on currency pairs like the euro/United States dollar and the Australian dollar/US dollar. My annual returns are in line with that of The Straits Times Index over the last three years. I have made a net gain over this time. A I am still holding on to cash - the 250-day moving averages are still pointing downwards and beginning to bottom out. Nonetheless, I believe that there are short-term trading opportunities despite the current market. I'm still young so I believe I can take measured risks. Hence equities are on the cards right now. A In 2013, I invested $20,000 in a high-yield bond unit trust that was paying 6 per cent a year, without studying the required fees or the fund's past performance. With the annual management fees and the initial cost of buying into the fund, I lost nearly 10 per cent when I exited in 2014 after a year. A Around February this year, I did a trade on a company called Alliance Mineral. I invested $2,000 when the share was eight cents. The price went up to 10.1 cents within about three weeks and I made a 25 per cent gain.